Road-weary drivers have only a few months left of lane closures and construction delays related to project to widen a portion of the Prince William County Parkway in Woodbridge, Virginia. WASHINGTON – Road-weary drivers have only a few months left of lane closures and construction delays related to a project to widen a portion of the Prince William County Parkway in Woodbridge. Currently, drivers leaving the Potomac Mills area on the parkway face a bottleneck at Minnieville Road where three travel lanes narrow to two. 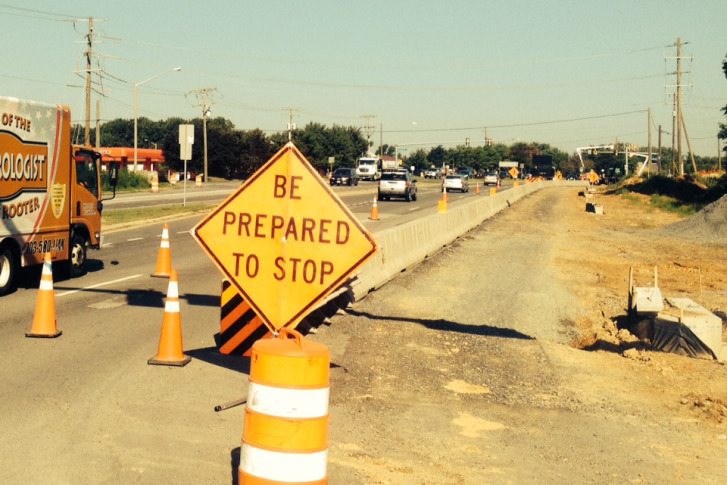 The project underway now will keep the three lanes flowing to Old Bridge Road. The project has been underway since September 2013. Follow @WTOP and @WTOPTraffic on Twitter and WTOP on Facebook.